← Color at cone 10– I did it! This mug is part of my newest series of work and drawings. I’ve decided to go all out and start putting more detail and variety in my imagery. Besides just drawing the simple 5-merous flowers, I’ve decided to try drawing different orchids and other tropicals… I started a new eucalyptus bark idea today but I wanted to come home and make some bread for the week, so I didn’t finish the tumblers just yet. 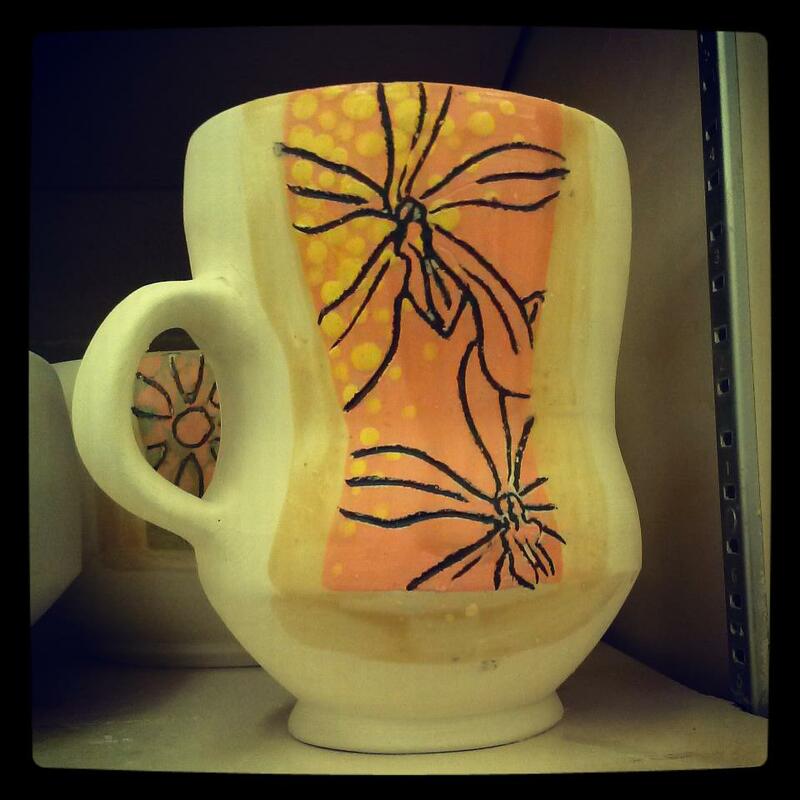 This entry was posted in Art, Ceramics, Drawing, Painting, Uncategorized and tagged ceramic art, inlay, kira call, mug design, orchids, underglaze. Bookmark the permalink. I really like the detail and the colors.